Environmentalists stress the idea that one can be more environmentally friendly by carpooling or taking the bus. Italians have a different idea. 450 students in Lecco, Italy get to 10 elementary schools by an un-traditional means of transportation: “piedibus”. A “piedibus”, meaning foot bus in Italian, is a bus route with a driver but no vehicle. 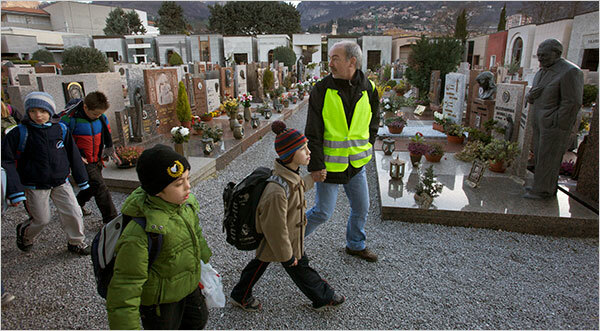 Italian children are led to school each morning by paid staff members and parental volunteers. It’s a strange idea, but a good one. 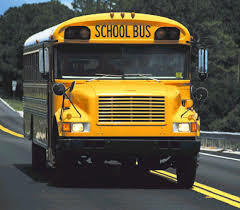 According to an article on disneyfamily .com, 500,000 school buses carry 24 million American children to school everyday. Think of how much air pollution those buses create as a group. Emissions come from two sources: the tail pipe and the engine. Maybe Americans should follow in the footsteps of the Italians and create their own “piedibuses”.